Entanglements attempts to argue against those who claim that scholarship on the category religion is only of secondary interest, in that it fails to do primary research on real religions. The volume collects eighteen responses, written across twenty years, that each exemplify the inevitably situated, give-and-take nature of all academic debate. These essays call into question the often used distinction between primary and secondary sources, between description and analysis. Published here in their original form, each contribution is accompanied by new, substantive introduction describing the context of each response and explaining how each shows something still at stake in the academic study of religion–whether its the rhetoric used to authorize competing scholarly claims or the difficulty involved in suspending our commonsense view of the world long enough to study the means by which we have come to see it that way. An ethnography of scholarly practice written mainly for earlier career readers–whether undergraduate or graduate students or even tenure-track faculty–Entanglements tackles the notion that some scholarship is more pristine, and thus more valuable, than others, thereby modeling for scholars earlier in their careers some of the obstacles and arguments that may face them should their research interests be judged unorthodox. Entanglements attempts to argue against those who claim that scholarship on the category religion is only of secondary interest, in that it fails to do primary research on real religions. The volume collects eighteen responses, written across twenty years, that each exemplify the inevitably situated, give-and-take nature of all academic debate. These essays call into question the often used distinction between primary and secondary sources, between description and analysis. 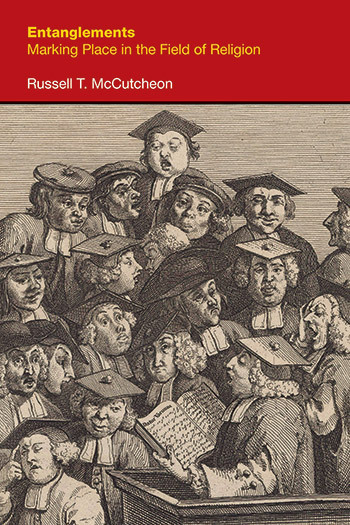 Published here in their original form, each contribution is accompanied by new, substantive introduction describing the context of each response and explaining how each shows something still at stake in the academic study of religion–whether its the rhetoric used to authorize competing scholarly claims or the difficulty involved in suspending our commonsense view of the world long enough to study the means by which we have come to see it that way. 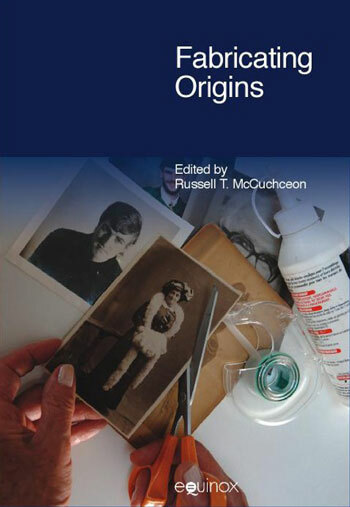 An ethnography of scholarly practice written mainly for earlier career readers–whether undergraduate or graduate students or even tenure-track faculty– Entanglements tackles the notion that some scholarship is more pristine, and thus more valuable, than others, thereby modeling for scholars earlier in their careers some of the obstacles and arguments that may face them should their research interests be judged unorthodox. Entanglements attempts to argue against those who claim that scholarship on the category religion is only of secondary interest, in that it fails to do primary research on real religions. The volume collects eighteen responses, written across twenty years, that each exemplify the inevitably situated, give-and-take nature of all academic debate. These essays call into question the often used distinction between primary and secondary sources, between description and analysis. Published here in their original form, each contribution is accompanied by new, substantive introduction describing the context of each response and explaining how each shows something still at stake in the academic study of religion–whether its the rhetoric used to authorize competing scholarly claims or the difficulty involved in suspending our commonsense view of the world long enough to study the means by which we have come to see it that way. An ethnography of scholarly practice written mainly for earlier career readers–whether undergraduate or graduate students or even tenure-track faculty– Entanglements tackles the notion that some scholarship is more pristine, and thus more valuable, than others, thereby modeling for scholars earlier in their careers some of the obstacles and arguments that may face them should their research interests be judged unorthodox. This introduction explains the history of the project, the author’s motivations and the responses he hopes to elicit. This essay responds to two articles published in Studies in Religion. In his introduction, the author admits that he no longer recognizes his current self when re-reading the original article. This article argues that the proper object of study for the student of religion is the means by which classification systems are created, authorized and implemented.